Physical Terrain Model with printed surface. Truchard Vineyards wanted a tool to help explain to visitors why certain varieties of grape are located where they are planted. Our printed physical terrain models fit the bill. 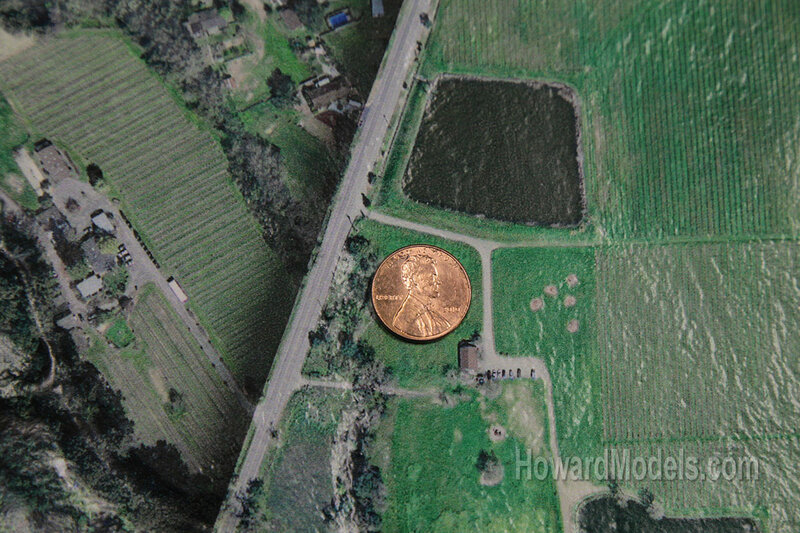 Available aerial photography was of sufficiently high resolution to be able to resolve the rows of vines. 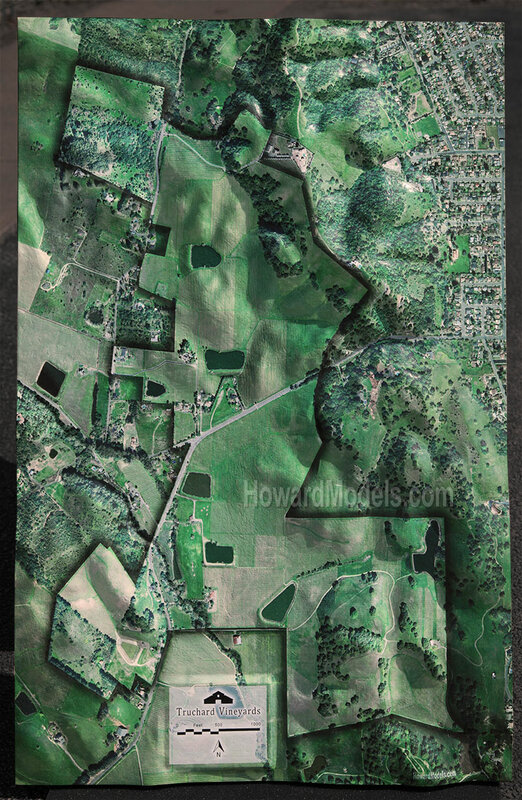 While the gently rolling hills don't make for dramatic relief , the available DEM (digital elevation model) is detailed down to the bermed mounds on the retention ponds. Being able to make out a group of pickers in one of the vineyards is a nice touch. We made two of these physical terrain models. One at 24"x36" for in the tasting room and one 11"x17" for travel. Most of our printed physical terrain models are ready to ship in 2-3 weeks.